Let’s suppose you’re booking an airline ticket for your next trip. Of course, it’s inefficient to visit many individual airline websites to find flight tickets. If you instead just enter a few pieces of information on a large web portal or meta-search service platform such as Skyscanner, you can easily find a wealth of ticket information based on your search terms. There are even flight ticket agents (i.e. travel agencies) working between the airlines and the meta-search services. On the other hand, let’s say that a non-human object is going on a trip. Company A’s trade staff member is tasked with sending products to the United States within a certain period of time. 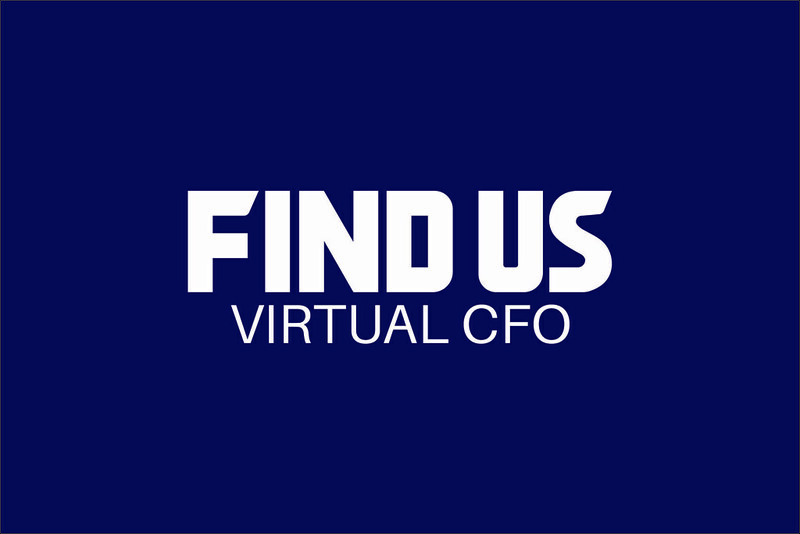 Unfortunately, there is no online search service that he can use because, surprisingly, schedules of shipping companies have not yet been digitally documented. The only option available to the Company A staff member is to look up entry and departure information of individual vessels by sifting through the annually published schedule booklet. Perhaps unsurprisingly then, forwarding companies that connect shipping companies and businesses have come to play an important role in the trade logistics industry for quite some time now. They manage the entire logistics process from departure to arrival of cargo on behalf of businesses. Structurally, they occupy an intermediate position similar to that of the travel agency. However, information asymmetry between businesses and forwarders still exists. The information accessible to businesses is very limited. Without an integrated management system, it is often difficult to figure out which forwarder a business ought to work with in order to achieve optimal efficiency and on-time arrival of items. Currently, it is more than evident that forwarding companies tend to monopolize crucial information. Imagine you were to purchase an airline ticket from a travel agency but could not tell if it was the fastest way or what exact date it would arrive? It may sound ridiculous and unfair, but this is in fact the current state of China’s domestic logistics industry. When I used to work for Hyundai Merchant Marine Co. in the past, I encountered the inefficiency of the trade logistics industry. Every step of work had to be done by email and phone, and only large companies could work directly with shipping companies. As for SMEs, the situation was worse. Even now, they still experience difficulty selecting a forwarder, and forwarding companies still manage all the logistics data with files or Excel sheets to provide logistics services. The international logistics market has not been automated, and not even basic datafication has been done. To determine the departure schedules and the names of vessels, companies must go through an annually published booklet. Therefore, since forwarders monopolize information of the logistics process, they’ve dominated the international logistics market. Unlike large corporations, SMEs have no choice but to hire forwarders to take care of their transport and logistics. 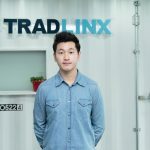 How is TRADLINX resolving the issue? We started by digitizing basic information such as shipping schedules, vessel routes, and cargo locations of major shipping companies around the world. We now work with over 100 forwarding partners. From where and how do you collect the data? We collect data in various ways. There are many terminals in ports such as Incheon International Airport. Each terminal has location data of vessels operated by shipping companies. Because some shipping companies manage their schedules with Excel, it is not easy to collect and put them online. It cannot be done at once, and it is necessary to update information every time changes occur. What is the core technology of TRADLINX that uses collected data? It can be divided into two elements. The first is the integrated freight management system. All the SMEs that import and export can receive quotes from various forwarders and can check the progress of logistics through the system in real time. Because this information was monopolized by forwarders in the past, businesses could not even figure out the vessel name and the exact arrival time. Secondly, we are developing a logistics information system that analyzes big data online. It can be used, for instance, to find out which route is the fastest and safest for freight transport. The current services being provided include trade logistics, consulting services, logistics quotation comparison services, logistics company matching services, and integrated logistics management services. How many forwarding companies are there in the country? You have partnerships with over 100 forwarding companies, right? Isn’t the range of choices too narrow for businesses? Because a permit is not required to establish a forwarding company, there are hundreds of new ones created and disappearing each year. Many companies do not have proven expertise. Furthermore, when businesses need to transport goods to countries that they are not familiar with, it is difficult for them to manage risks because there are too many subcontracts. We select only forwarding companies that have proven expertise and are sizeable enough to take care of accidents and let them provide quotes to businesses. Besides, each forwarder specializes in different countries, so we take location into account when matching forwarders with businesses. The number of partners does not necessarily correspond directly to the quality of service. What benefits do forwarders get from using TRADLINX? It can generate revenue. In the past, forwarders also had to find companies that export or import through offline sales. In addition, each forwarder has different areas of expertise. It is not efficient to let a company specialized in the US take care of transport to Russia. If we match them with the appropriate businesses that export or import, forwarding enterprises can benefit and speed up their work without any extra effort. What is the main revenue source for TRADLINX? One of the major revenue sources is the commission fee from the forwarder, which is the lowest in the industry. We also make money with data. Large companies and government agencies are very interested in our marine transport data. Not long ago, we signed an agreement with FSK L&S, a forwarding company under SK, to provide our logistics data. This is meaningful in that it is the first win-win agreement between a large company and a start-up in the trade logistics IT industry. We also generate revenue from advertising. There are about 30,000 forwarder staff members and trade logistics managers in our system. Thus, there are often companies that want to advertise within our platform. Do you have any plan for global market entry? We have had the overseas market in mind from the beginning. 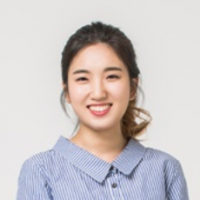 Korea is a country that has very demanding consumers in every field. If we satisfy domestic consumers, I am sure our services will be very competitive in overseas markets. Also, international logistics services are carried out in the same way in all countries. I can say we are a company specialized in overseas advancement. Beginning this year, we will prepare to enter markets in China, the US, and Southeast Asia. 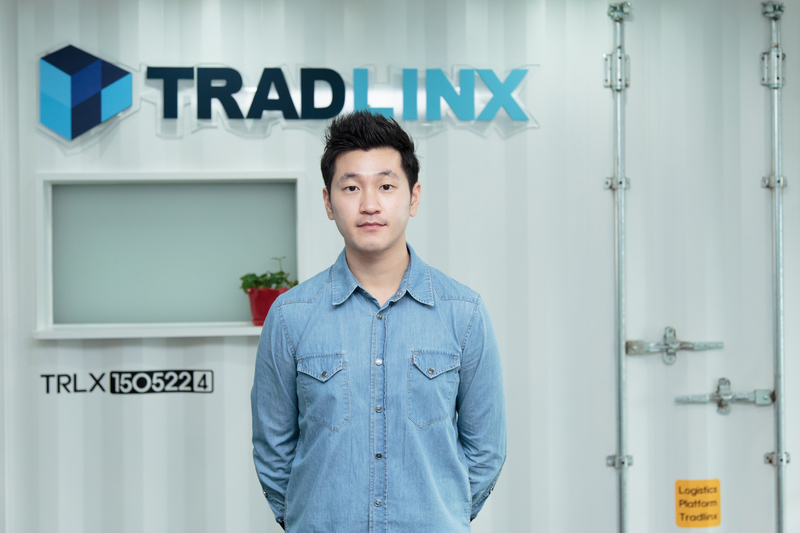 Lastly, please tell us about the short-term and long-term goals of TRADLINX. We launched this integrated freight management system in November last year. It was further upgraded to a solution that could manage all the logistics from A to Z for SMEs. In the short term, we aim to expand our user base to a certain extent. In the long term, we hope that we will become a company that can improve the work environment in the international logistics industry. Actual survey results show that managers in logistics companies were extremely dissatisfied with their work. There is a problem of inefficiency due to the lack of online data, and the view that “logistics is dry” also brings a negative effect. We hope to become a company that shifts the direction and paradigm of the market and ultimately overturns the prejudices inside and outside the industry. 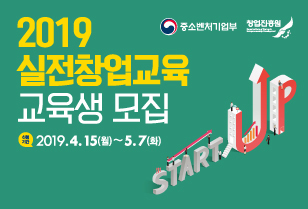 This article, entitled “Startup “TRADLINX” aims to resolve information imbalances within the trade & logistics market”, was written in Korean by Margot Jung of Platum, translated by Flitto, edited by AllTechAsia.